The T-44 can be considered a fine-tuning of the playstyle previously showcased by the T-43. 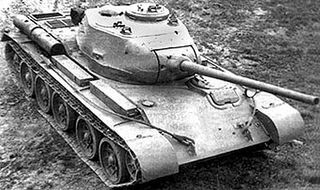 Sporting better agility, firepower, and armor than the T-43, the T-44 is largely a improvement without drawbacks. 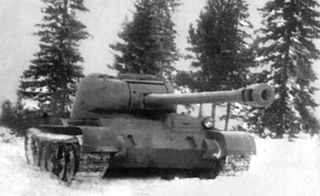 Like the rest of the USSR medium tanks, the T-44 tends to excel in dogfights and flanking movements, more suited to its low-profile hull, great acceleration, and decent gun. With the 100mm LB-1, the T-44 can double as an effective sniping platform, however this is not recommended due to the extremely mobile nature of Soviet mediums. The strength of the T-44 lies in its ability to flank, strike, and get out in a heartbeat. Flanking or attacking otherwise distracted enemies makes it a very annoying pest for your enemies to defeat. The armor, while unreliable against your peers, can be very difficult for a tier 7 to break through when angled properly. 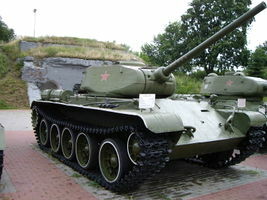 Unlike most Russian mediums, this tank does not suffer from bad accuracy, aim-time, or gun depression once upgraded. Use this tank's extreme flexibility to be competitive at every stage of a match. Formerly infamous for its weak ammo rack, the T-44's ammo rack is now much more durable. Despite this, the overall layout and number of ammo racks leaves it prone to taking damage in this module. While not recommended, a Wet Ammo Rack can help alleviate this problem, although it requires a break in the Holy Trinity of Medium Equipment setup, name a Vert. Stabilizer, Gun Rammer, and Optics, to maximize your scouting and damage dealing potentials. Finally, the usage of the 122 mm D-25-44 is not recommended, as it is generally inferior to the 100 mm D-10T and especially to the 100 mm LB-1, in particular due to the awful DPM causing the skill ceiling to crash down to low levels. It also decreases the effectiveness of your agility and general flexibility, due to the poor gun depression, as well as the long aim and reloading times. Unlock the V-54-6 only if you plan to keep the T-44, otherwise you can skip it.